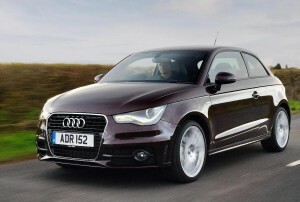 New Audi A1 and A3 models - Audi Lead the Way with CoD Technology! Love Audi’s but don’t like the sound of running a diesel version of their A1 and A3 models? Then you’re in luck because the car firm has taken the wraps of two interesting new models. The Audi A1 and A3 ‘CoD’ are aimed at buyers who want the diesel’s frugal mpg figures but with petrol engine performance. These two models snap at the heels of their TDI counterparts with fuel economy figures of up to 60.1mpg. The ‘CoD’ for the Audi A1 and A3 stands for Cylinder-on-Demand which is currently seen on their S and RS models using a system which switches virtually imperceptibly between two and four-cylinder modes in as little as 13 milliseconds to optimise efficiency. Audi says the cars are cheaper to buy and have lower fuelling costs than their 2.0 TDI equivalent plus BIK savings of up to £1,044 for a 40% taxpayer. All versions of the A1 and A1 Sportback are equipped initially with the seven-speed S tronic twin-clutch transmission, and all versions of the A3 and A3 Sportback with a six-speed manual gearbox. Both transmissions will however become available for all A1 and A3 CoD models later this year. The Audi A1 and A3 have a sophisticated new unit which offers 0-62mph acceleration times of 7.9 and 8.0 seconds in the A1 and five-door A1 Sportback equipped with S tronic transmission. The A3 and A3 Sportback with manual transmission complete the sprint in 8.3 and 8.4 seconds. Top speeds are 132mph in all cases. According to the official combined cycle test the Sport, S line and Black Edition versions of the A1 can return up to 60.1mpg, equating to CO2 output of 109g/km. A1 Sportback Sport versions also match their three-door counterparts at 60.1mpg and 109g/km, while S line and Black Edition versions of the five-door run them close with 57.6mpg potential and 113g/km output. The Audi A1 and A3 models are now available in Sport, S line and Black Edition specification priced from £16,740 OTR to 24,050 OTR. That’s a premium of £850 over their continuing 1.4 TFSI 122PS equivalents in both ranges, positioning them as attractive alternatives to the 2.0-litre TDI variants. Check out the leasing prices for the Audi A1 and A3 TFSI cars since they are probably cheaper to run than buying one – which makes their motoring bills even cheaper! This entry was posted in Car Updates & Releases, Luxury Cars, New Cars, Small Car, Sports Car and tagged A1 Sportback, A1 Sportback Sport, A3 Sportback, audi, Audi A1, audi s, BIK, Black Edition, car, fuel economy, LS, MoT, new audi, price, RS, S line, speed, Sport, Sportback, TDI, TFSI by Steve Lumley. Bookmark the permalink.